The bigger the dog, the more there is to love. That is certainly the case with Presley, but for some reason, the 3-year-old pup is still missing the most important love of all — that of a forever family. In 2017, Presley caught the eye of Paula Joyner, a lead volunteer for East Mississippi Animal Rescue (EMAR), at a local animal control facility. Volunteers nicknamed the 103-pound American bulldog/Lab mix “Big Mama,” for her size and loving nature. But two years later, the sweet dog is still hopping from foster home to foster home. 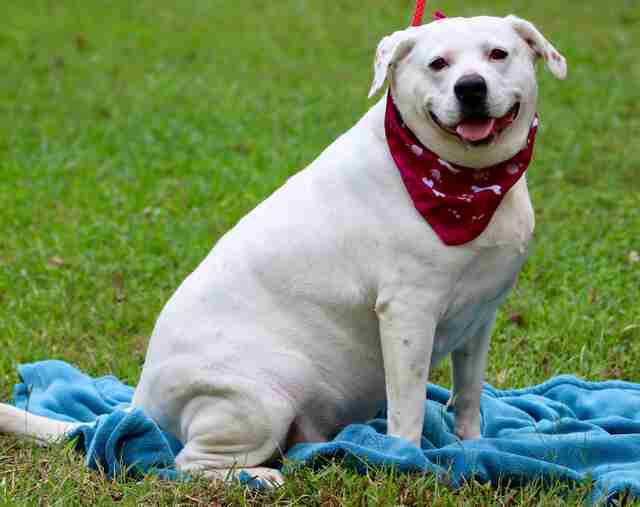 Though she may look overweight, the big-boned pup has so much to give as a playful family pet. Her foster dad, Dylan Lugibihl, explained that a lot of her unusual size actually comes from her breed background. 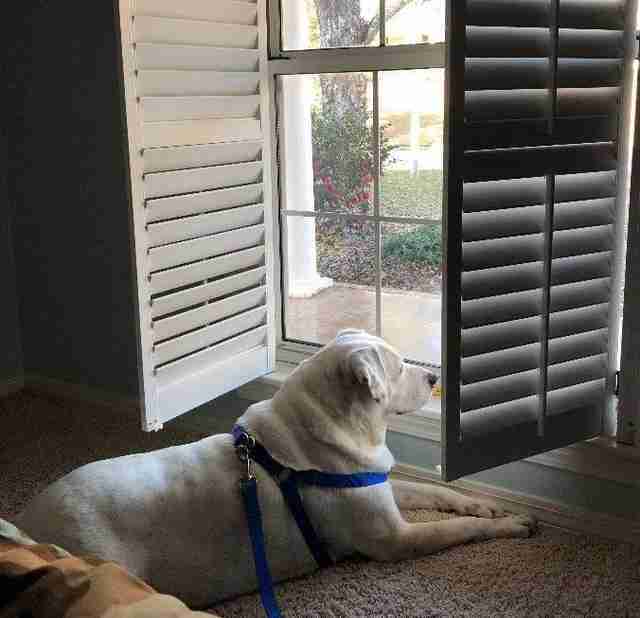 "The size comes from the bulldog side, but she has plenty of energy and her weight hasn't seemed to impact her health or lifestyle in any noticeable way," he explained. "She frequently does long runs at the lake and explores for an average of three hours without stopping." Presley also loves to get clean, whether or not it’s her bathtime. She will eagerly jump into a running shower or full tub with her humans and constantly begs to be vacuumed. But bathtubs aside, Presley is generally quite respectful of her surroundings. 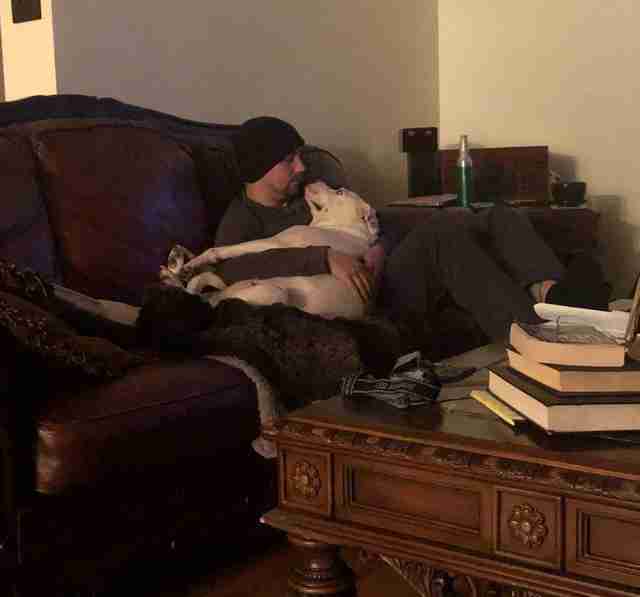 The sweet pup is so trusting that she will even let her foster dad brush her teeth — though she’s still not a big fan of the activity. 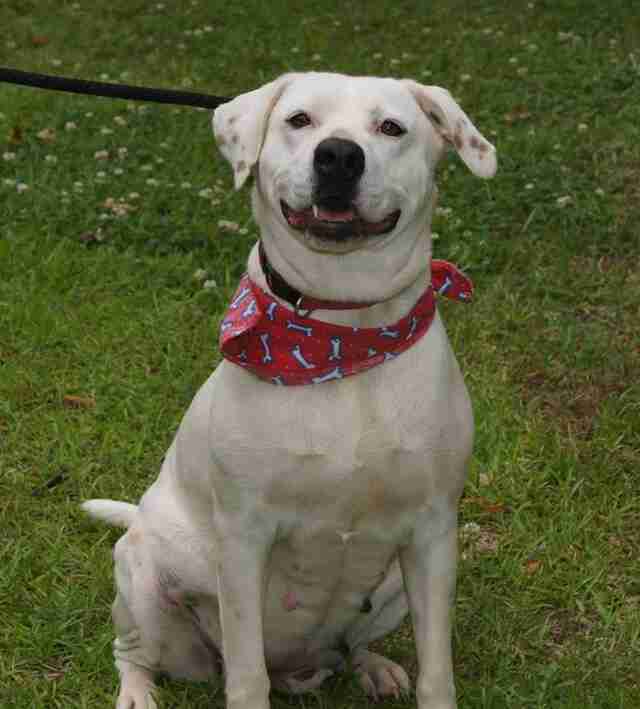 If you are interested in adopting Presley, you can fill out an application on East Mississippi Animal Rescue's website.